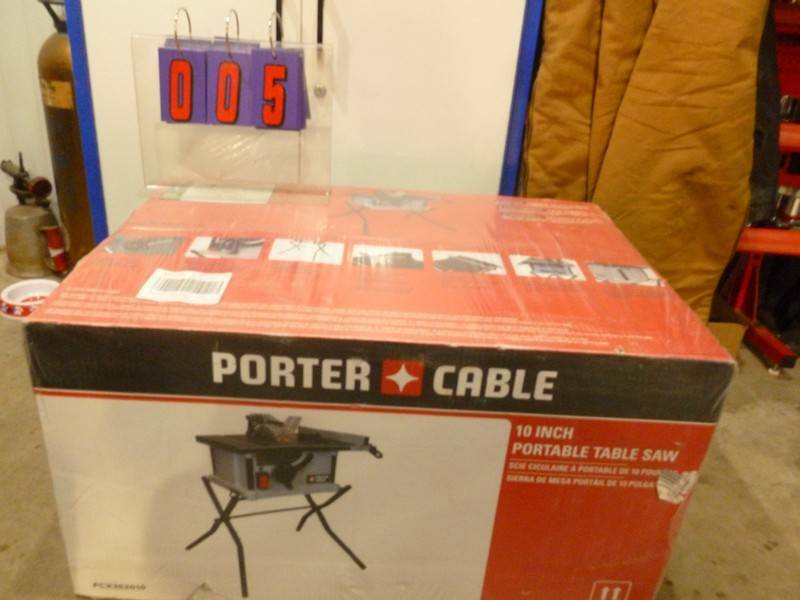 Porter Cable 10 portable table saw with stand. New in the box & box is still sealed. TERMS: INSPECTION IS BY APPOINTMENT ONLY. 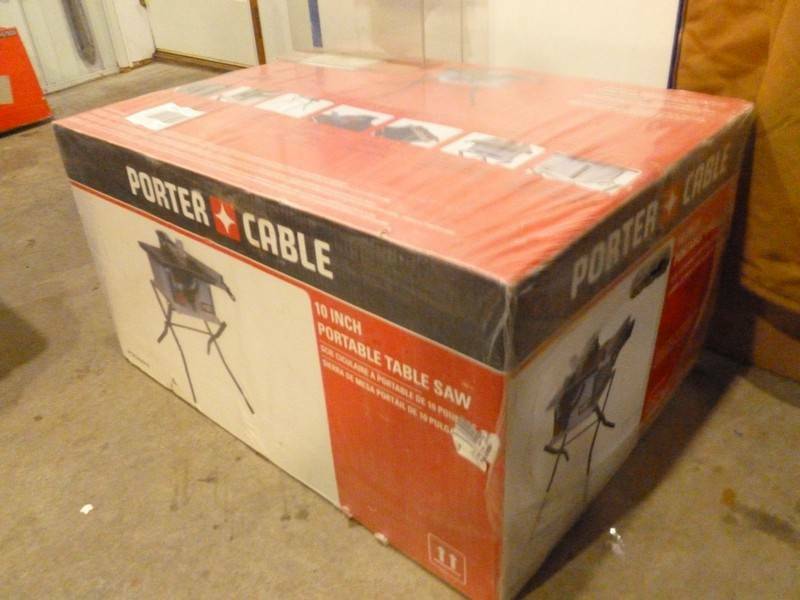 YOU MUST CALL MIKE AT (763)242-3746 TO ARRANGE A TIME TO VIEW THE ITEMS. RECEPTION ON PHONE IS POOR AT TIMES SO PLEASE TEXT ME WITH ANY QUESTIONS OR CONCERNS. PAYMENT IS CASH OR CREDIT CARD ONLY. $200 MAX CREDIT CARD PURCHASE ONLY. ANYTHING ABOVE $200 MUST BE CASH ONLY. NO PERSONAL CHECKS ACCEPTED AT ALL. ALL ITEMS ARE SOLD AS IS WITH NO WARRANTY. PICKUP IS ALWAYS FRIDAY 11:00 AM UNTIL 5:00 PM. PAYMENT AND PICKUP NEEDS TO BE MADE ON PICK UP DATE. IF YOU CANNOT MAKE THESE HOURS THERE WILL BE A $25.00 SERVICE FEE APPLIED TO ANY & ALL ORDERS REGARDLESS OF QUANTITY PURCHASED. ALL SITUATION NEED TO HAVE PRIOR APPROVAL BEFORE ASSUMING TERMS OF ITEM. YOU WILL NEED TO CALL MIKE AT (763) 242-3746 TO ARRANGE AN ALTERNATE PICK UP TIME. ANY ITEMS NOT PICKED OR WITHIN 7 DAYS WILL BE FORFEITED AND POSSIBLY REAUCTIONED OFF WITH NEGATIVE FEEDBACK TO K-BID.